Many believe Khabib Nurmagomedov (pictured) is destined to become the UFC lightweight champion. That might still happen one day, but today Nurmagomedov is losing his never-ending battle against the injury bug. Late Thursday night, MMAFighting.com reported a rib injury has forced the undefeated Russian out of his December 11 bout against Tony Ferguson. It is believed the UFC is now angling to keep Ferguson in the lineup against Edson Barboza, which is a great Plan B. 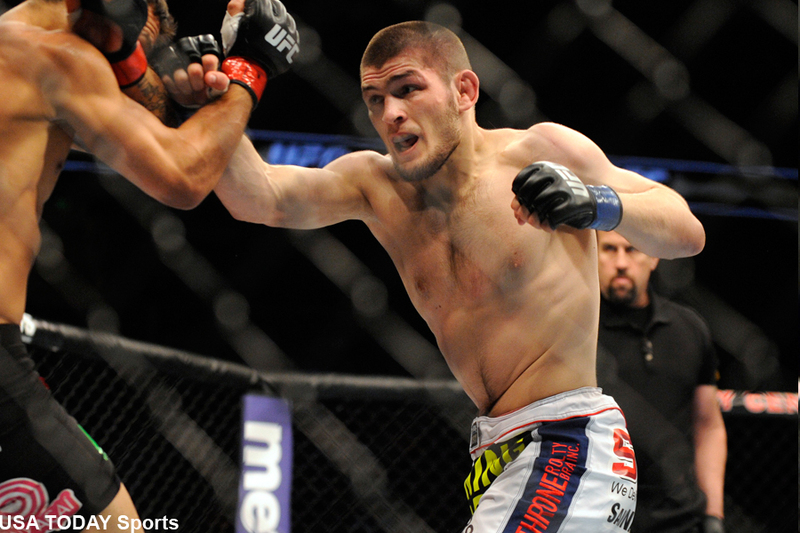 No word on how long Nurmagomedov’s latest injury will keep him sidelined. Nurmagomedov is perfect through 22 professional fights. He was slated to meet Donald Cerrone at UFC 187 in a title eliminator bout, but was forced to withdraw from May’s scrap with a knee injury. The Russian hasn’t been seen since beating now-champion Rafael dos Anjos in April 2014. Ferguson is one of the hottest fighters in the UFC’s deepest division having rattled off seven straight victories. “El Cucuy” is fresh off July’s unanimous decision win over Josh Thomson. The Ultimate Fighter 22 Finale takes place at a yet-to-be announce venue in Las Vegas, Nevada. Fox Sports 1 will broadcast the main card live. A critical featherweight fight between Frankie Edgar and Chad Mendes headlines the gig.